RV living is the dream for more and more people. As technology evolves, it’s easier than ever to work remotely, which is why there is a new trend of RVing full-time while working from the road. If you are someone who loves the idea of spending your days exploring new places on the open road, working remotely from an RV may be right up your alley. To do so successfully, here are some tips that can help you optimize your workflow. You’re obviously working with limited space, but setting up a dedicated area in your RV for working is worth the effort. Ideally, you will be able to easily tuck it away when you’re traveling or taking the day off. Invest in comfortable seating and a storage-friendly desk so you can keep a clutter-free workspace. You want to make sure that you are giving yourself ample time to buckle down and focus on your work. This means shortening your travel times. Experiment with what works best for your workflow, but a good place to start is by traveling in 3 or 4 hour chunks and then spending 3 or 4 hours working. 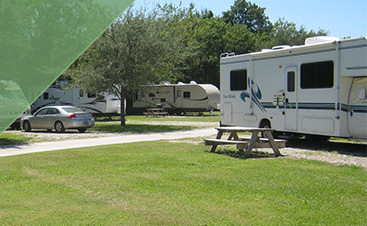 Many campgrounds, such as here at Frog City RV Park, offer WiFi, but not all will. In general, it’s a good idea to invest in a mobile hotspot so you can rely on your own internet to see you through. At a minimum, make sure to research RV parks before you book a spot so you know that you will be able to access WiFi when you need it. Road trips by nature often go hand and hand with bumps along the way. You don’t want these hiccups to be around your work. As stated above, WiFi is not always reliable on the road, and technology isn’t always predictable. The last thing you want after spending your day working on a project is for your laptop to crash. That’s why it’s a good idea to invest in an external hard drive or other device to backup all your work. While cloud computing can be helpful, again, you don’t always know if you are going to have internet access. A backup ensures that you can access your work even when technology fails you. What works for some will not work for others. 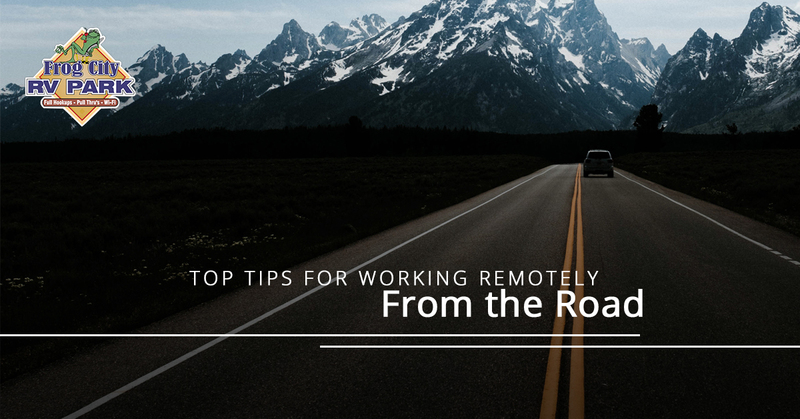 The key to working remotely from the road is being adaptable. It will take some trial and error to figure out your flow, so have patience and experiment with different strategies. Even though you’re working, also take care not to spend all of your time inside your RV working. Get what you need to do done, then head outside and enjoy yourself. This is why you wanted to RV full time in the first place. 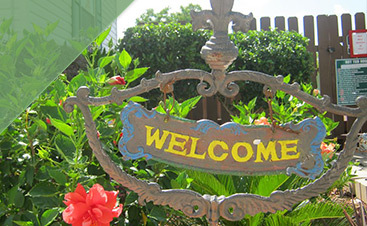 At Frog City RV Park, we would love to host you on your journey across Louisiana. 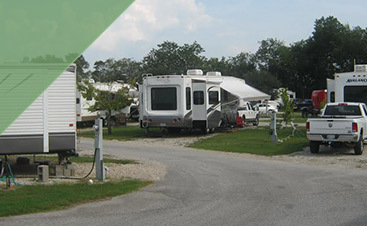 If you’re looking for an RV park in Lafayette, come on by for some of our Cajun hospitality! Book your spot online today.